Parents of a Dozen: Do you think about your Bone Health? Do you think about your Bone Health? There are so many people suffering from bone loss as they get older and people don’t realize they need to make sure they are supporting their bone health while they are young to prevent issues as they get older. The amount of bone mass you start with has a big impact on your risk of osteoporosis. If you are female, petite, white, Asian, or have a family history of osteoporosis, then you have a greater risk. Research suggests that tobacco, heavy alcohol use, and low physical activity can all reduce bone mass. Gastric bypass, low testosterone, high thyroid, and certain medications (such as steroids or thyroid) can all increase risk. It is estimated that there are 10 million Americans affected by osteoporosis and at least 80% are women. Bone loss rapidly accelerates after menopause; women can lose up to half their bone mass in the 5-10 years following the end of menses. More than 1.5 million fractures occur every year because of osteoporosis. It is estimated that one half of women and up to one in four men age 50 and older will break a bone because of osteoporosis. One in five people over the age of 65 who break a hip end up in nursing home within a year, and they are three times more likely to die within three months. The good news is that you can begin making changes today that will improve your bone health. Your diet should include high-calcium foods such as milk and other dairy foods, leafy green vegetables, and soybeans. If you’re one of the many who aren’t getting enough from your diet, supplementation is key. 1000 milligrams of calcium a day in food or supplements is the recommended amount to help maintain bones for most adults; that amount increases to 1200-1500 mg per day for women who are post menopausal and men over 70. Even though vitamin D is the “sunshine” vitamin, most people aren’t getting enough because of the use of sunscreens, where you live, time of year, if you are overweight or simply not spending much time outdoors. 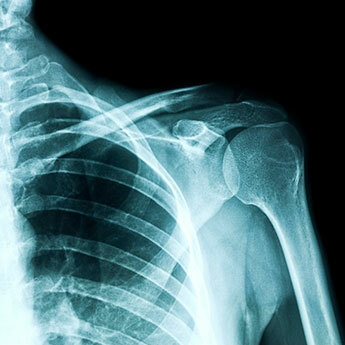 A new study links vitamin D deficiency to accelerated bone aging. If you don't have enough vitamin D, it could lead to reduced bone density, reduced bone quality, and increase the aging of bones. The best approach for determining the proper amount to take is to have your blood levels checked and then supplement to achieve your optimum levels. Most health practitioners suggest around 1000-2000 IU a day. Start taking care of your bones today, all it takes is a little effort to have a huge payoff later in life. Protect Your Bones with OsteoMatrix. You need more than just calcium to build strong bones. OsteoMatrix provides a unique matrix of critical nutrients including calcium, vitamins D & K, magnesium, and more to build and maintain strong bones. It's clinically tested to increase calcium absorption, and its small, coated caplets are easy to swallow! To Buy Now go Here!